Search our inventory to find the perfect fit for your passenger car, SUV/4x4, van, or light truck. 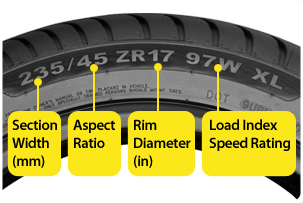 How to Read your Tyre Sidewall? IMPORTANT: Always check your owner's manual or confirm with your local tyre dealer when you are selecting any tyre size for your vehicle.